This is one of my go-to morning smoothies when I need a sweet boost to get me through to lunch time – if you like Reese’s Cups, you’ll really, really enjoy this. 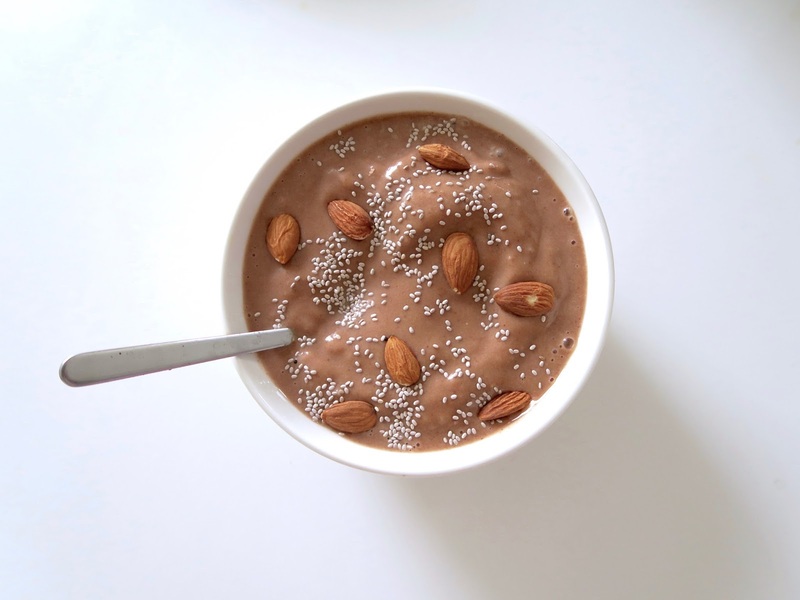 As per the photo, you can make this as a smoothie or a smoothie bowl depending on whether your banana is frozen or not (and the same goes for all smoothie recipes). You can also make this with cocoa if you don’t have any cacao to hand. Read my quick guide if you’d like to know the difference! Decant into a bowl or glass, sprinkle extras on top, and enjoy!